People with breathing problems travelling to the United States should ensure they have travel insurance with medical conditions after a survey analysed the country's asthma control levels. The study of 1,000 asthma sufferers showed that nearly half of those with persistent asthma are not using controller medications to help keep tabs on the condition. 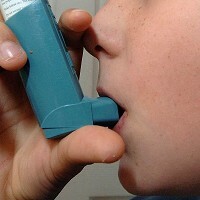 Scientists said the findings of the CHOICE study highlight the low level of asthma control in the US. The lead author was Gene Colice from George Washington University School of Medicine. He said: "The study showed 79% of these patients had persistent asthma and should have been on controllers. Of the 51% on controllers, 86% were inadequately treated as their asthma was not well or very poorly controlled." Co-author Michael Blaiss added: "Uncontrolled asthma is severely affecting patients' quality of life and increases the risk of emergency department visits and hospitalisations." The findings were published in the Annals of Allergy, Asthma and Immunology.